We're sorry but all Fitment / Finish combinations for this product are currently out of stock. You can be notified upon their arrival by choosing the Fitment and Finish options you are interested in and then entering your email in the box below. 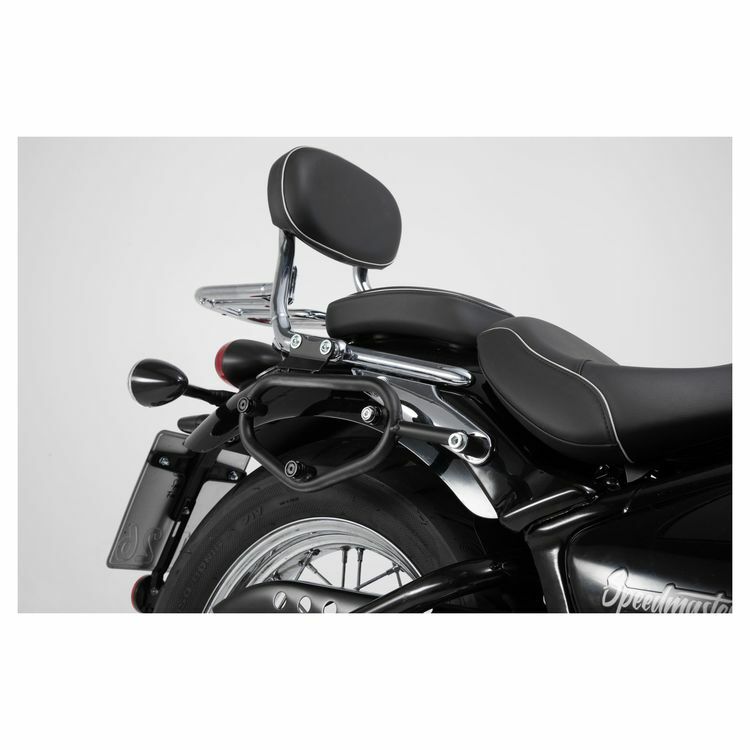 The SW-MOTECH SLC Sidecarrier bolts onto the frame of select bikes to provide latch-on, latch-off ease of attachment for various pieces of luggage from SW-MOTECH. These sleek, inconspicuous steel hoops feature a durable powder coated black finish to look great with or without luggage attached. Note: Both Left and Right sides must be purchased to make a set. Each side sold separately.